Tom Cosker is a Consultant Orthopaedic Surgeon, who gained his Completion of Specialist Training in 2011. He works at the Tumour Oncology Unit in the Nuffield Orthopaedic Centre, Oxford and has a specialist interest in Upper Limb Surgery and Reconstruction. He is Upper Limb Fellowship trained and completed a Fellowship at the Princess Elizabeth Orthopaedic Centre in Exeter under the mentorship of Professor Tim Bunker. Tom has previously worked at Stoke Mandeville Hospital (Spinal Injuries, alongside some of the UK’s foremost spinal surgeons), High Wycombe Hospital (specialising in Arthroplasty and general orthopaedic trauma), Royal Berkshire Hospital (specialising in Upper Limb Surgery) and the John Radcliffe Hospital (specialising in General Orthopaedic Trauma). 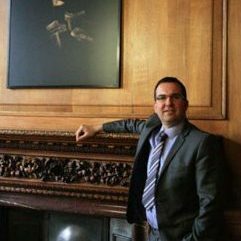 Tom Cosker was delighted to take up his position as Director of Human Anatomy at Oxford University in January 2014, having succeeded Professor John Morris. Tom has an interest in bringing modern technology to Anatomy and is currently exploring projects in 3D TV, virtual reality and augmented reality. Tom is responsible for all undergraduate anatomy teaching and examinations. Tom’s main areas of interest are musculoskeletal anatomy and new technologies for supporting learning in medicine. As such, Tom frequently looks to bring the latest learning techniques to the department. Tom is a Fellow of the Anatomical Society. 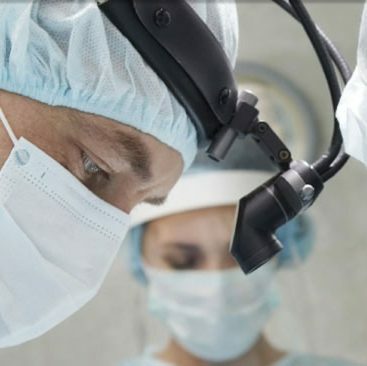 Tom Cosker has published around 20 peer reviewed articles and has written around 10 books and mini-guides, covering everything from shoulder surgery to career guidance for those seeking posts in Higher Surgical Training. Tom Cosker is a passionate and enthusiastic educator who enjoys lecturing large groups in smaller, more informal settings with both medical students and junior doctors. Tom has completed a Masters Degree in Trauma Surgery at the University of Wales College of Medicine, graduating with Merit. Throughout Tom Cosker’s professional career he has been interviewed and featured in a variety of publications. Jon Dennis, Politics Writer for The Guardian, talks to Mr Tom Cosker about UK hospitals’ preparedness for a major terrorist attack. You can also read a similar article in the ‘London Evening Standard’ featuring comments by Tom Cosker here. If you wish to contact Mr Tom Cosker, you can also reach him via this form. Tom looks forward to hearing from you! © 2019 Tom Cosker. Built using WordPress.